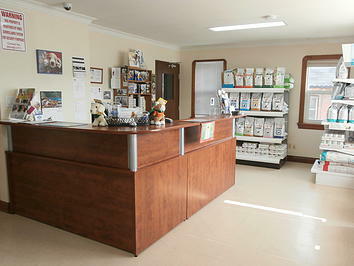 Keeping your pet healthy and happy is the top priority of the team at the Pickering Village Pet Hospital. We perform medical, surgical, dental and diagnostic services and more for pets and their owners in Ajax and throughout the Greater Toronto Area. If you have any questions or concerns about our clinic facilities and services, feel free to fill in the e-form below. One of our friendly and knowledgeable team members will get in touch with you within 24 hours to provide you answers and solutions.